Clifton Village is a picturesque Georgian suburb in Bristol. Here’s what to see and do when you visit. 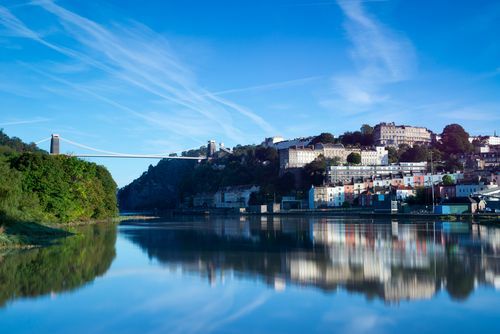 A large open space for free public leisure activities, Clifton Downs sit next to Clifton and the Avon Gorge to its southeast side, where you can get a great view of Clifton Suspension Bridge. An idyllic walking space, Clifton Downs also feature areas of open field for team sports and more rugged spots which make great picnic destinations. 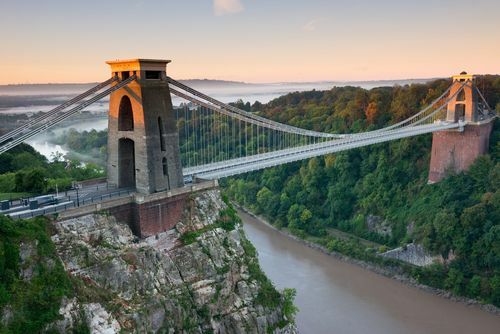 An icon of the city and a truly remarkable feat of engineering, Clifton Suspension Bridge was famously designed by the great engineer Isambard Kingdom Brunel, who was voted second place in a 2002 BBC poll to determine the 100 Greatest Britons. The bridge, which recently turned 150 years old, straddles the Avon Gorge and it costs nothing to cross on foot and see the stunning views. There is a £1 toll for cars but it is the most scenic entry point to the city. On windy days you can feel the entire structure move but don’t worry, it is designed to do so, roller-mounted saddles sit atop each tower and it is through these that three wrought iron chains suspend the road beneath. A stone’s throw away from Clifton Suspension Bridge sits one of Bristol’s best days out, Bristol Zoo Gardens. Opened in 1836, it was the first provincial zoo outside of London. Admission prices include a donation towards the zoo’s conservation projects. New attractions include a gorilla house that allows you to get right underneath these mighty creatures and you can even watch feeding time. Princess Victoria Street is the main shopping street in Clifton with numerous independent pubs, restaurants, coffee shops, delicatessens, curio boutiques and well-stocked charity shops. Head here to find picnic items, souvenirs and light refreshment. After a long day’s exploration of Clifton Village, why not take the opportunity to visit Bristol’s finest Indian restaurant? Joy Raj is located just off Princess Victoria Street and serves mouth-watering, delicately spiced fusions of classic Indian, Bangladeshi and Pakistani cuisines. 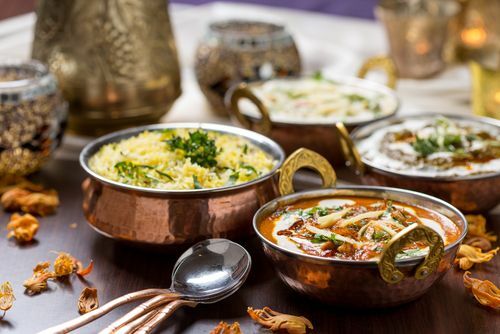 At Joy Raj, our Indian Food consists of exquisite chicken, lamb, prawn, fish and vegetable dishes which are served to you in a relaxed friendly environment that’s fit for a king.